GOKPOP | Exclusive K-News in Malaysia & Singapore: Kyochon Malaysia Challenge: Unlock the Stage & Stand a Chance to Win G-Dragon 2017 World Tour in KL Rock Zone Tickets! 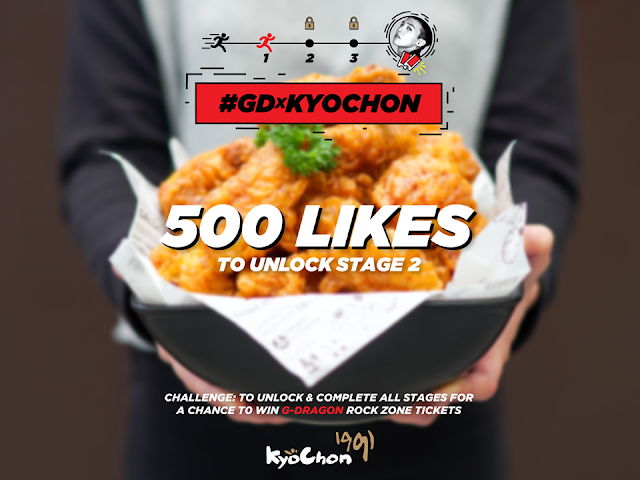 Kyochon Malaysia Challenge: Unlock the Stage & Stand a Chance to Win G-Dragon 2017 World Tour in KL Rock Zone Tickets! 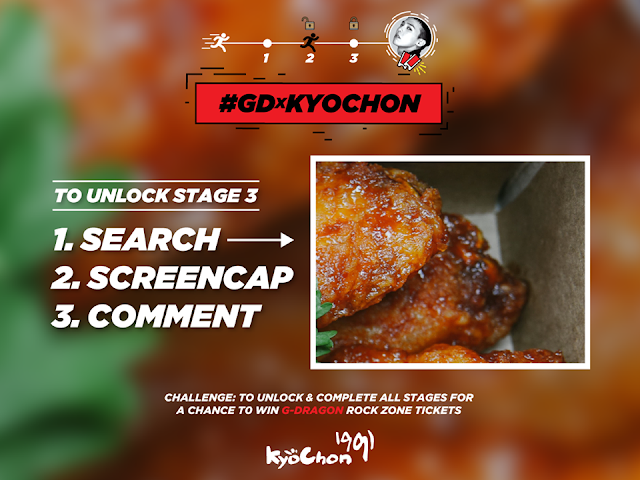 Challenge yourself by unlocking all 3 stages for your chance to be at G-Dragon 2017 World Tour Act III: M.O.T.T.E in Kuala Lumpur. This is your chance to meet G-Dragon up close on 17 September as Kyochon Malaysia is giving out 14 Rockzone tickets to those who participated in their online or off ground contests! Boost your chances of winning by hitting the like button and fulfil the challenge. The winners will be selected randomly. Don't miss the chance to meet G-Dragon in Kuala Lumpur (ps: this might be his final concert before entering the military TT).